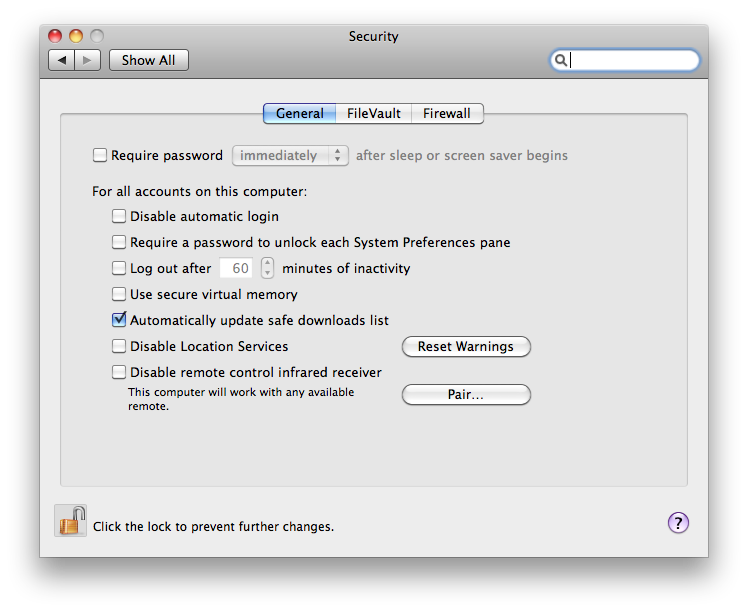 Apple has released Security Update 2011-003, which adds malware detection and removal for the "MAC Defender" scam and delivers a daily update mechanism for updating subsequent malware definitions. The security update for Mac OS X 10.6.7 is available from Software Update or the company's Downloads page. Installing the update does not require a system reboot. The update adds malware discovery and removal for MAC Defender and all of its known variants, using the simple malware file quarantine feature that was first added to Mac OS X 10.6 Snow Leopard. The Mac OS X file quarantine feature examines external files downloaded within Mail, iChat, Safari or other file quarantine-aware applications, warning users of downloads that match the definition of malware. In addition to adding a definition for the latest "MAC Defender" trojan horse to warn users that the download should be deleted, the new security update adds a daily malware definitions check to make subsequent malware attempts even easier for Apple to protect it users from. Users can opt out of the daily malware definitions update check by unchecking the new "Automatically update safe downloads list" checkbox in Security Preferences.